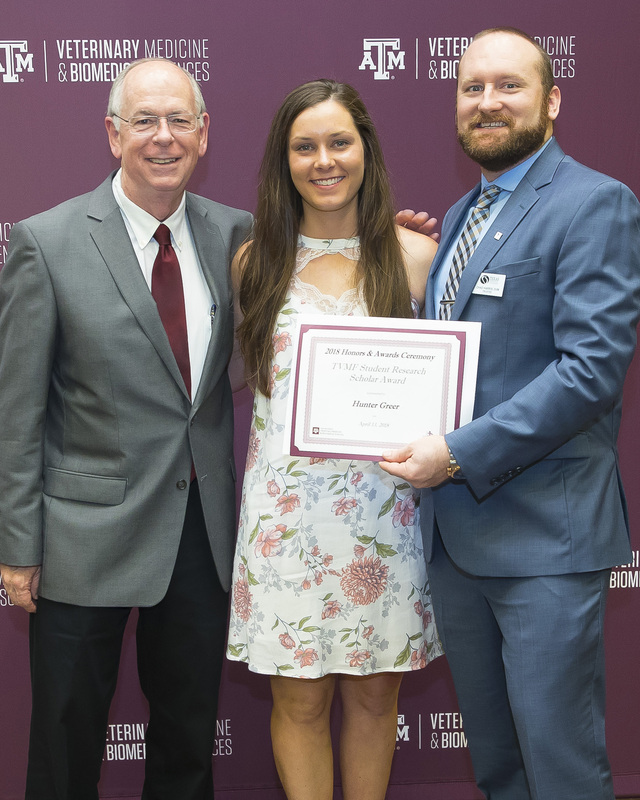 At this year’s Texas A&M University College of Veterinary Medicine and Biomedical Sciences (TAMU-CVM) Honors Convocation, 46 awards were given to 59 veterinary students and faculty members. The Honors Convocation is one of the highlights of the veterinary academic year as both students and faculty members are celebrated and honored for their achievements. 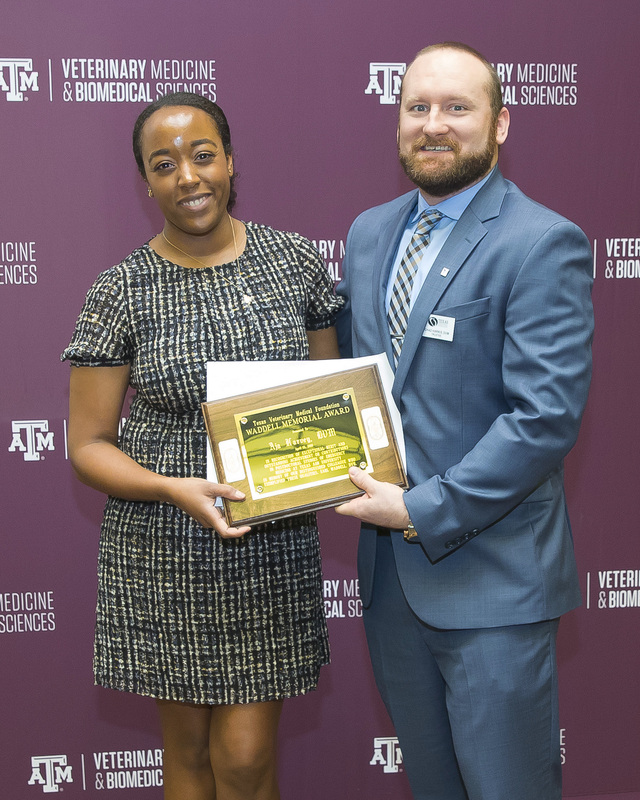 The Texas Veterinary Medical Foundation (TVMF) took part in the 2018 Honors Convocation on April 13. 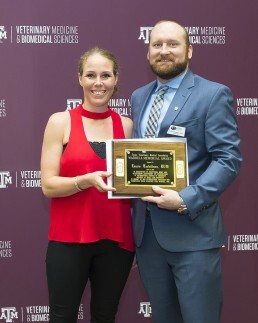 The Student Research Scholar awards are made possible through the Foundation’s Buck-A-Year program, which lends support to the Texas A&M Veterinary Medical Scientist Research Training Program (VMSRTP), which exposes veterinary students to cutting-edge research within the veterinary profession. Congratulations to TVMF Trustee Dr. Roger Smith, III for receiving the Bridges Teaching & Service award which is presented to a faculty member who has distinguished themselves with outstanding teaching and/or exemplary service to the college. Please join TVMF as we congratulate our 2018 Convocation honorees and 2107 TVMF Student Research Scholars!